Our world is shaped by trends that are constantly changing. Do we follow trends or do the trends follow us? This is similar to asking what came first – the chicken or the egg. As we tire of colors that have dominated our clothing and interiors, new colors become popular therefore creating new color trends. And so it goes. Benjamin Moore Paints began producing an annual Color Trend report and although it offers color combinations that are fresh and new each year, they do not necessarily control our color choices for interior design. 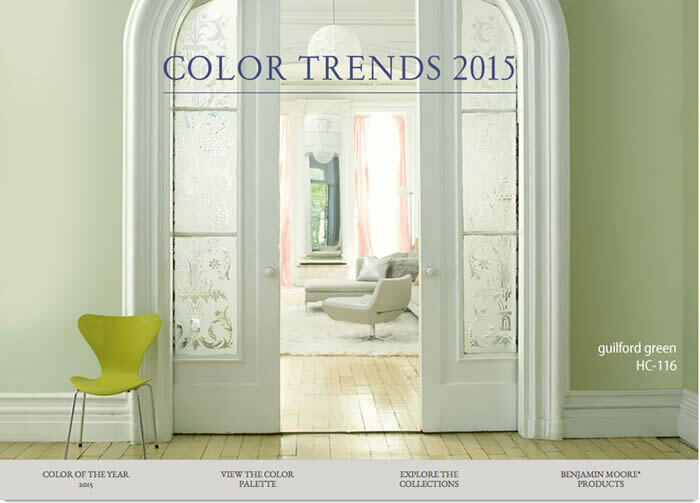 If you’re looking for paint color inspiration to add new accents to your rooms, take a look at their Color Trends report at www.benjaminmoore.com.